Alpha ProtocolJun 1, 2010Sega and Obsidian are reteaming for this role-playing game that eschews sci-fi and fantasy for a Bourne Identity-like world of high-tech espionage. ..
Dungeon Siege IIIJun 21, 2011 (US)Obsidian Entertainment is developing the next incarnation of the Dungeon Siege franchise. In DUNGEON SIEGE III, players assume the role of one of four legionnaires in the crumbling kingdom of Ehb, fighting for the sake of their fallen co.. Fallout: New VegasOct 19, 2010 (US)Fallout: New Vegas takes all the action and humor of this legendary series, and raises the stakes. Experience all the sights and sounds of fabulous New Vegas, brought to you by Vault-Tec, America's First Choice in Post Nuclear Simulation. 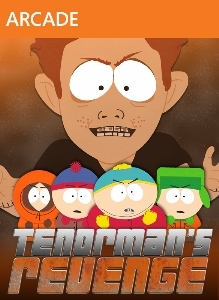 Exp..
South Park: Tenorman's RevengeMarch 30, 2012South Park: Tenorman's Revenge is an epic role-playing adventure that allows players to befriend Stan, Kyle, Cartman, and Kenny and explore the quiet little mountain town like never before. Features: Epic South Park Adventure: Jum..
South Park: The Stick of TruthMarch 04, 2014From the perilous battlefields of the fourth-grade playground, a young hero will rise, destined to be South Park’s savior. From the creators of South Park, Trey Parker and Matt Stone, comes an epic quest to become… cool. Introducing South Park: The S..